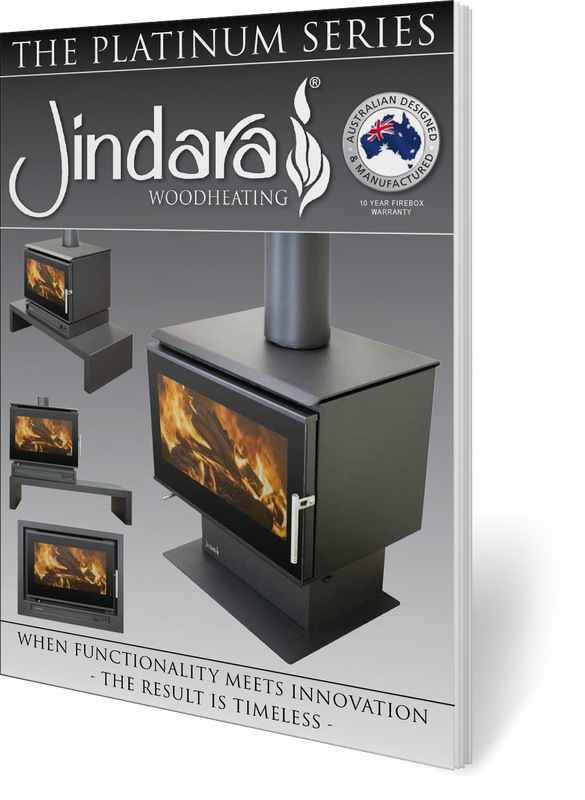 The Tilga is a new addition to the Jindara range of inbuilt wood heaters, featuring a full glass fronted door, pre-heated primary air and three speed thermostatic fan. With high output and low emissions, the Tilga inbuilt wood heater incorporates cast iron firebox liners to ensure maximum firebox heat retention and efficiencies. The sleek, modern design is compatible with a variety of interior styles and the full glass fronted door allows maximum viewing area, making it a stylish focal point in your home. With a three speed fan and thermostatic control, this easy to use unit features the latest manufacturing technology. The stylish Tilga turns heads with its sleek modern design and full glass fronted door for maximum viewing area. With high output and low emissions, the Tilga incorporates cast iron firebox liners to ensure maximum firebox heat retention and efficiencies. The unit features a 6mm fully welded steel firebox with a dual pre-heating primary air chamber, and the door features a dual-action latching mechanism with safety position. The three speed fan circulates warmth and expertly controls the temperature with thermostatic control. The Tilga has compact dimensions and clearances for ease of installation, with the option of a solid or perforated flue. It also has a zero clearance option.